How do you ensure the safety of your aging loved one at home? 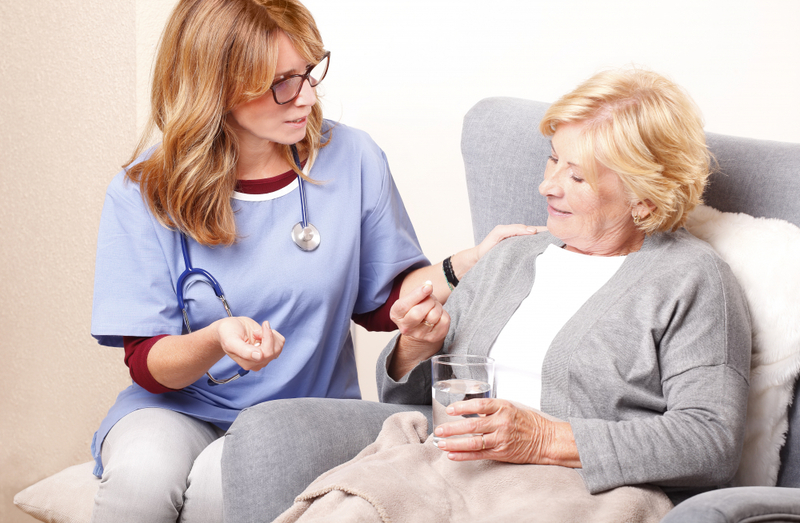 Aside from getting assistance from providers of Non-Medical Home Care in Winter Haven FL, their medications should be one of the major concerns you have to oversee. Thankfully, there are many things you can do to help secure your aging family member when it comes to their medications. Here, we have compiled these important reminders for their medication safety. Always refer to their doctors or pharmacist when there’s a new medication they need to take, whether it’s over-the-counter or prescribed. Clarify especially about the dosage instructions and possible side effects so that you can anticipate the safety steps you can take. Refer back to their doctor when they’re thinking about taking another medicine or supplement. There are medicines that react negatively to some ingredients of other drugs, causing a more harmful result to their condition. For safety, consult with their doctor first. Request for the medications to be dispensed in safe containers or pillboxes. Most pharmacies today now offer their delivery services for free. Ensure that part of your instruction includes packing the medicines in bubble packs or dispensers so that the safety of the medicines can be checked while in transit. Label the medicines clearly. This is especially helpful if your aging loved one is taking the pills for themselves or if someone providing Companionship Care in Florida is assisting them. Having clear labels on medications can make it easier for them to locate these drugs and be adherent to their medications schedule. Read the labels of medicines at all times. Even if you’ve already read it, re-reading can help you remember what the medicine is for, how much should be taken, and other safety reminders you should follow. To be able to secure your aging loved one’s medication intake, make sure you’ve administered the right medicine by carefully reading their labels. Do not drink medicines that have been prescribed to other family members. Every person has unique medication needs and their prescription may not be right for your aging loved one. To be safe, only provide the medicine that was prescribed to them. Dispose properly of the medicines that were unused, expired, or damaged. With assistance from providers of Home Care Services, find a way to safely dispose of your medicines so they can’t pose a hazard to your little ones, pets, or even the environment. You can coordinate with your local government or even your nearest pharmacy to know if there are disposal services available. Consult their doctor before taking alcoholic drinks or other beverages, especially if you’re thinking about mixing the meds with them. Some medicines react strongly to some beverages, especially those with alcohol content. The reaction can cause adverse effects on your loved one’s health. To be safe, always ask their doctor before doing anything you’re not sure about. At Compassion Home Care, we help you manage your aging loved one’s medications when they’re homebound. This entry was posted in Senior Health Care and tagged Homemaking Services, In-Home Care Services, Medication Safety, Safety Reminders, Senior Care Tips. Bookmark the permalink.